What a treat! 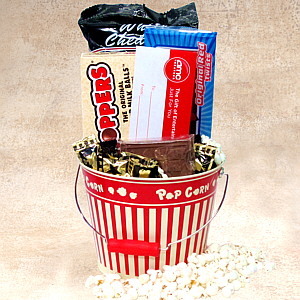 Two tickets to an AMC Movie, Classic Movie Candy and a Chocolate Ticket nestled in popcorn in our Popcorn Tin (food safe so it's perfect for your popcorn at home). Delight someone with a night out on you, or give it to a friend and hope to nab that second ticket.